Dunderhead99 wrote: I have not seen Raithby's name posted on here yet which is a surprise. I'm not sure. I will do some digging and see if I can find out. You're right, Raithby Husted information should be posted here. I'm on it! 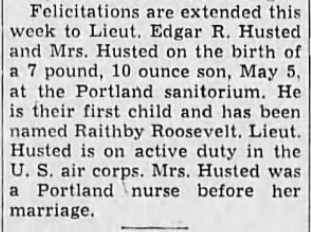 DOB: May 5, 1943 Portland, OR. Parents: Edgar R. Husted (Dec. 9, 1918 - Aug. 22, 2002... born in Kansas) and Carrol Grace (Roosevelt) Husted (Nov. 11, 1919 - May 16, 2006... born in Montana. Grew up in North Dakota). Edgar and Carrol married May 19, 1942 in Portland, Oregon. Edgar studied aircraft mechanics at Multnomah College in Portland for two years. He served in the Army Air Corps during World War II and was stationed in the Aleutian Islands and Italy and was discharged in 1945. The Husteds lived in Salem, where Mr. Husted worked in electronics. In 1955 they moved to San Francisco and he worked 25 years for United Airlines as a an avionics technician. Children: Raithby R. Husted Jr. (born Feb. 1972. Married to Jennifer G. (Wright) Husted), Karin Lynn (Husted) Terry (born June 15, 1976. She married Samuel R. Terry Dec. 21, 1994 in Johnson County, TX ), Katherine (Husted) Watt (date of birth unknown. Married to Todd Watt) and Carrol (Husted) Baughman (born in either 1969 or 1970. Married to Kurt Baughman since 2006. Married Charles W. Starkey Dec. 31, 1990, they divorced in 2001). 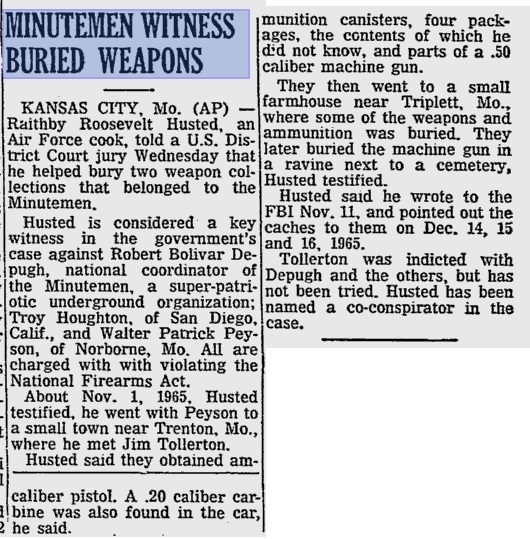 -Testified against Robert DePugh and Walter Peyson in their firearms trial. -His father most likely would have had at least one pair of wing walkers, being that he was an avionics technician. 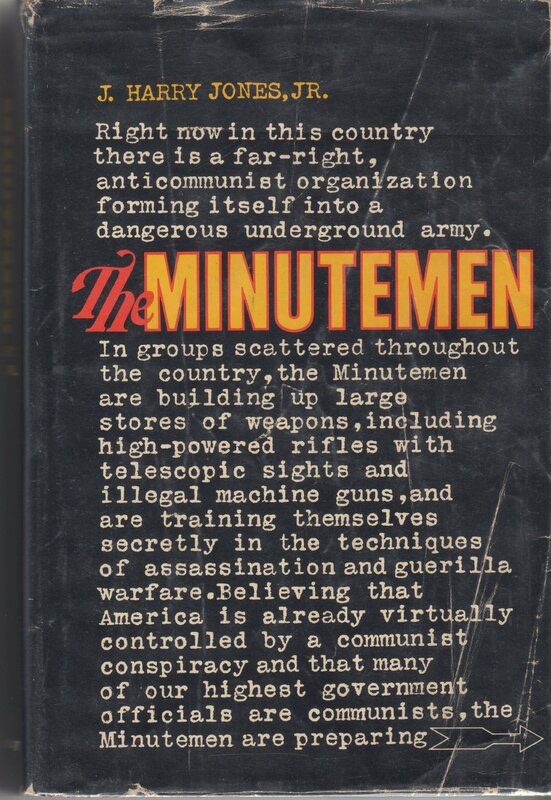 Husted sure is lucky to be alive after testifying against the Minutemen. Husted has a buddy, I think he is actually a relative of Husted's wife but I'm not sure, but anyways... this guy is was stocky and definitely barrel chested at the time of the Zodiac murders. He had horn-rimmed glasses and closely resembles the Stine sketch. 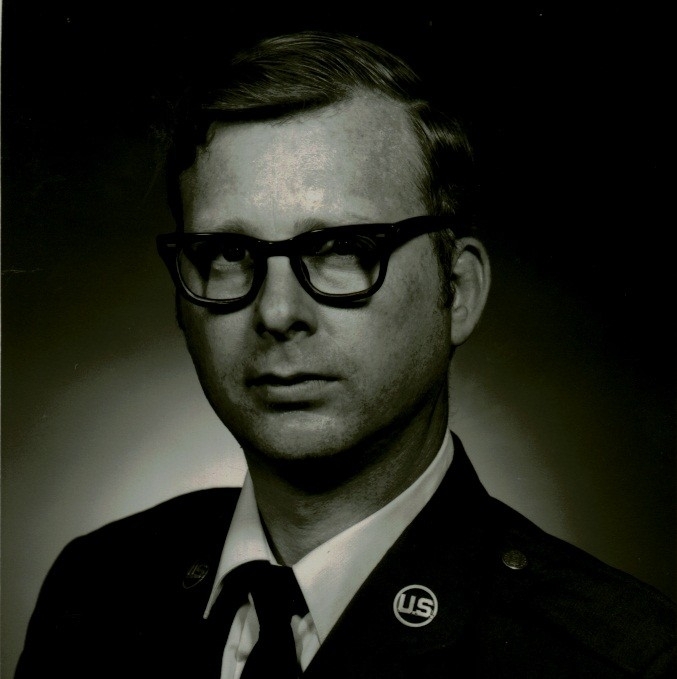 He fought in Vietnam in 1966 and 1967 and was in the Air Force for 30 years (1956-1986) before retiring. This guy is originally from Pennsylvania. This guy is in his late 70's and lives in Vacaville, but I'm pretty sure he was on the east coast in 1969. He has a really funny name, but he is still living so I cannot post it. EDIT: Finding all kinds of photos of this friend with the funny name and he is looking more and more like the Stine composite. I'm going to do some serious research on the guy, although I am still pretty sure he lived on the east coast in '69. EDIT 2: I'm starting a thread on this guy in the secret suspect section. I will see what I can come up with on Jim Husted and try to find out if he and Raithby are related. I think Jim is still alive and living in Oregon. And, as mentioned a few posts up, Raithby was born in Oregon. Spouse(s): Joanna Irene McIlvery (married May 8, 1976 in Solano County. They divorced in 1982. She was previously married to a dentist named Roddy N. Feldman. Joanna currently lives in Vallejo. She was born Sept. 20, 1940 in Los Angeles); Marilyn Louise (Jensen) Husted (married 1984-present). I believe Jim had a wife before Joanna as well, but have not been able to verify that. It's taking a while to find info on this guy. Anyone else up for the challenge? Roddy N. Feldman wrote a book entitled "Monty's War : The Combat History of PFC La Mont A. Seifert: United States Army Serial # 37 562 178, 1943-1946" back in 2009. He worked with the Solano County Coroner's office in the forensic odontology. Husted is a bit more common of a last name than most people would realize. But that doesn't mean Ray and Jim are not related. Dunderhead99 wrote: Husted is a bit more common of a last name than most people would realize. But that doesn't mean Ray and Jim are not related. Agreed. I have spent a lot of time trying to figure that out, but no luck thus far. I just stumbled on this interview with former Minutemen leader Robert Taylor. He basically took over for a while once DePugh went underground. Really nice guy. Michael Vejvoda, a former Minuteman, is a guy I will be checking into soon. I read something about a code he had written that was in some FBI files but haven't come across the code yet. Fgood to see your still checking up on the MM. Is Keith Gilbert still around? He hasn't been on here in quite a while. Craig Lee Adams. In the mid 60's he was 28 years old and lived at 37418 Larkin, Palmdale, CA. He was into stamp collecting and auto mechanics and worked as a truck driver. Robert Harrison Guio. Age 25 in 1964. Married with one child. 86 Tahoe Ct, Pleasant Hill, CA. Worked as an insurance broker. DOB is July 28, 1939 and now lives in Eagle River, AK. Has also lived in Scotts Valley, CA as well as Santa Cruz. I believe that his wife's name is Lynn E. Guio. Robert is a bishop. 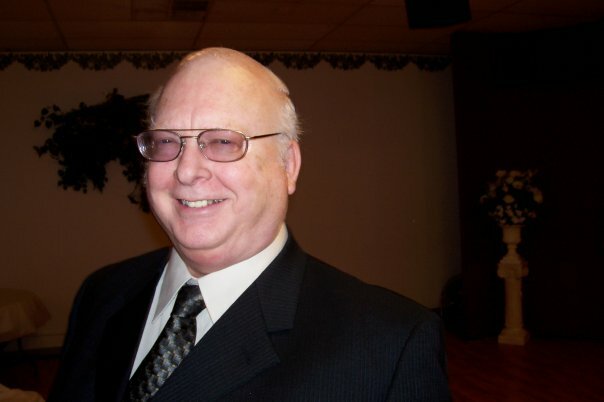 In 1989 he registered his own company, Felton Properties Inc.
Wayne E. Eastman. 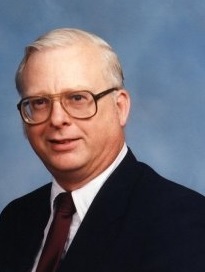 Age 29 in mid 60's. Worked as an electronic technician. Hobbies include communication codes & ciphers. Lived at 3073 Ramsgate Way, Rancho Cordova, CA. Apparently Raithby Husted is in the hospital and not doing so well. I tried to contact him through a third party last summer but had no luck. Rocketman wrote: Is Keith Gilbert still around? He hasn't been on here in quite a while. He posted on Morf's site yesterday. hey ophion check this out!! I just took a call at work on a woman named Husted that passed away tonight in San Jose.